Lip gloss is a cosmetic product used primarily by teenage girls and young women around the globe to give the lips shine and subtle color. 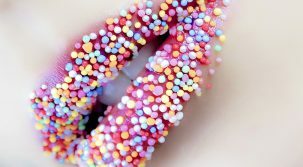 Lip gloss is distributed as a viscous liquid or a soft solid. It can be translucent (clear lip gloss can be layered over regular lipstick for extra shine) or various shades of opacity, including frosted, glittery and metallic looks. The colors are almost limitless! Lip Glosses are a gift to women who want to correct their lip shape to achieve a truly perfect finish on the face. Fist, study the natural shape of your lips, identify the defects, if any and decide on what you want to achieve and then proceed. See Below for some great tips! Small mouth with small lips? Want to achieve fuller lips? No problem! These are easily corrected by taking the lip liner pencil outside the natural lip line.Work slowly and steadily to form a perfect shape. Fill in with primer and finally with the lipstick.A highlight of frosting on the upper lip would also create an impression of fullness. Oh! Lucky you! Your lips are the natural envy of all women around! So, how do you work the lip gloss on your lips for a perfect finish? Apply liquid foundation makeup to the entire mouth, then outline with a dark shade of lipstick just inside the natural contours of the mouth. Then apply lipstick of a lighter shade carefully and accurately within this outline. Subdued shades work well for this kind of mouth. Use medium toned lip colours and avoid dark browns, plums, electric brights or pale shimmer shades. Ah, to get a more even, symmetrical appearance, simply apply fluid foundation makeup to the upper lip. Outline just inside its natural contour and apply a dark shade of lipstick. Then outline the lower lip just outside its natural contour and emphasize by filling in with a lighter shade of lipstick. Simply outline upper lip just outside its natural contour. Apply a light shade of lipstick and in the center add a touch of lip gloss. Apply fluid foundation makeup to the lower lip. Outline just inside its natural contour. Then fill in with a darker shade of lipstick, using a lip brush. You are a natural talker! Cover the corners of the mouth with foundation makeup or a cover stick. 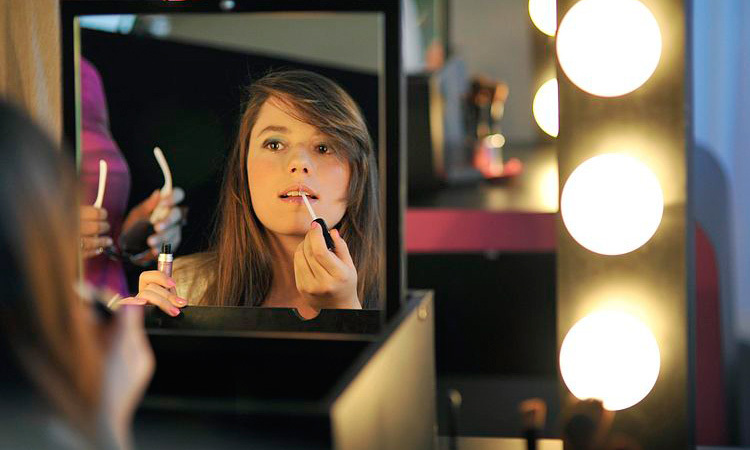 Apply lipstick with a lip brush, stopping a few millimeters before the corners of the mouth are reached. Lip gloss is so popular due to its ease of application and flirty look. For some young teenagers, it is used as a ‘starter’ make-up. Although the look is mostly associated with youth, multinational companies like Stila and MAC do make lip glosses for high-end consumers. Some of these glosses contain collagen or other ‘plumping’ agents. Lip gloss is vital to the mod make-up style exemplified by Twiggy, an eyeliner and mascara-heavy look that requires sheer, ‘dewy’ colors elsewhere. It can be paired with well-blended gel or cream blush to achieve this look. Get Perfect Pout With Lip Gloss Reviewed by FashionPole on October 19, 2016 .